Every treatment at Head Hunters begins with a wet head check to confirm that lice evidence is present and that treatment is necessary. The first step in treating a head lice infestation is diagnosis. If your child is complaining of an itchy scalp or neck, or if you see small red sores on the scalp, it’s important to perform a thorough examination of his or her head. You are looking for adult head lice or their eggs, also called nits. Finding adult head lice can be difficult as they can move quickly through your hair to avoid detection. Adult lice are grayish white and about the size of a grain of rice. They have 6 legs and no wings. Nits are tiny yellowish eggs attached to a hair shaft. 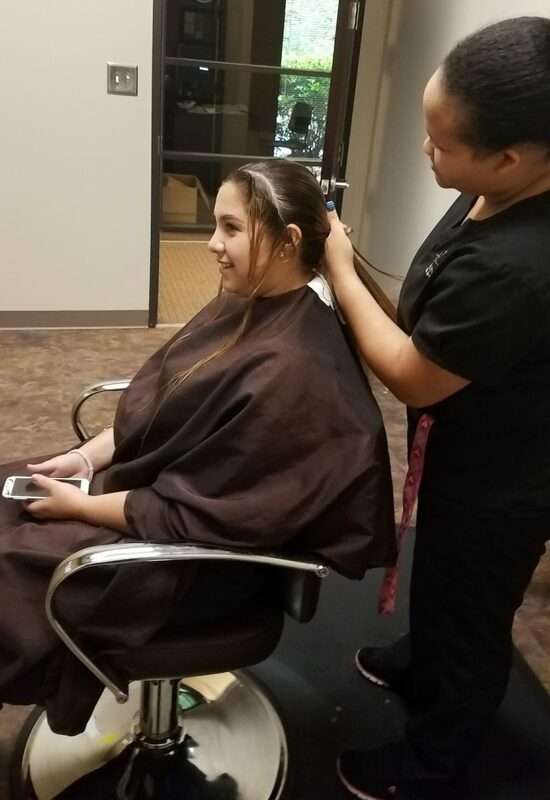 If you think a family member may have head lice , you can get expert lice screenings and treatment in Atlanta at Head Hunters Lice Removal Specialists. We begin every possible treatment with a wet head check to confirm that evidence of head lice is present. Our technicians will show you the evidence and will also give you an estimate of how long the infestation has been going on. You will also be given preventative tips, information for taking care of the bedding and home, as well as dispelling myths about head lice to put you at ease.